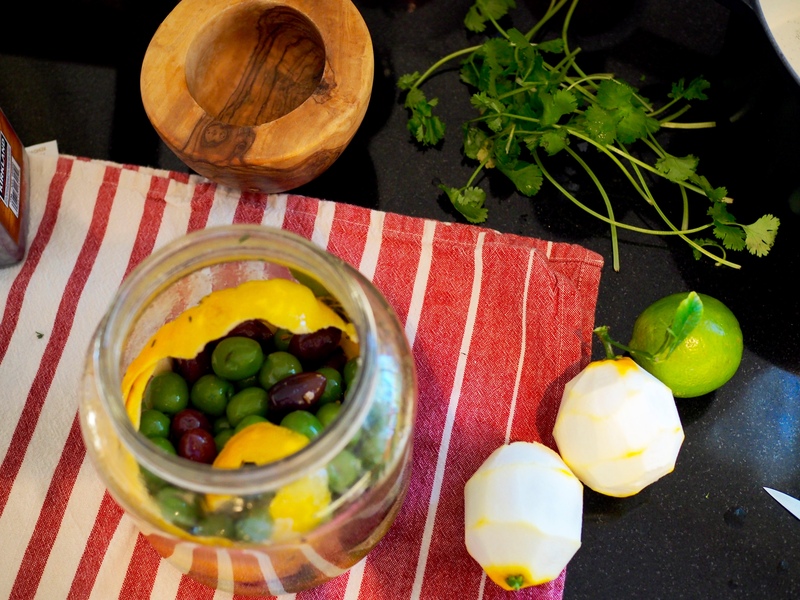 Mom's Lemon and Herb Olives — Oh Wonderful! It wasn’t until three years ago when my mother really began her foray into cooking, once my father relocated for work. 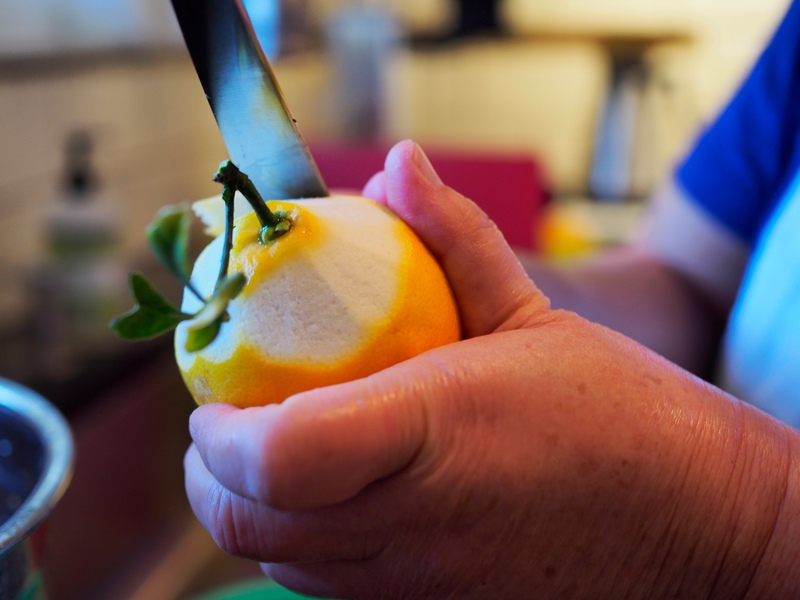 Every time I spoke to her she had tried out a new recipe and made something new, the excitement oozing out of her voice and her sense of pride, well-deservingly, going through the roof. Her love for cooking is not just so she can feed her family, it’s literally the translation of her love. Seeing her grow, get better, listen to her observations, and her gripes about her mistakes has made me so, so grateful to be her offspring. 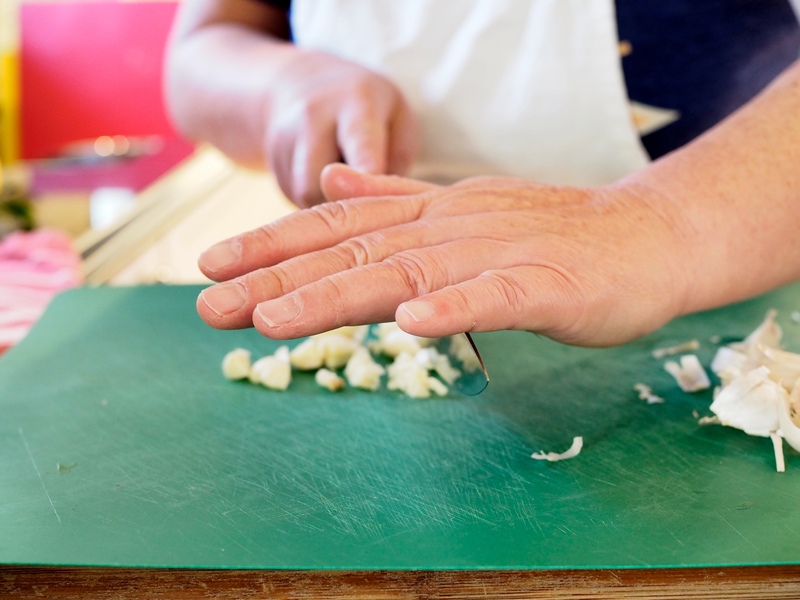 Her love for cooking has also taught me that there’s no time like the present to get good at something, and really love it. 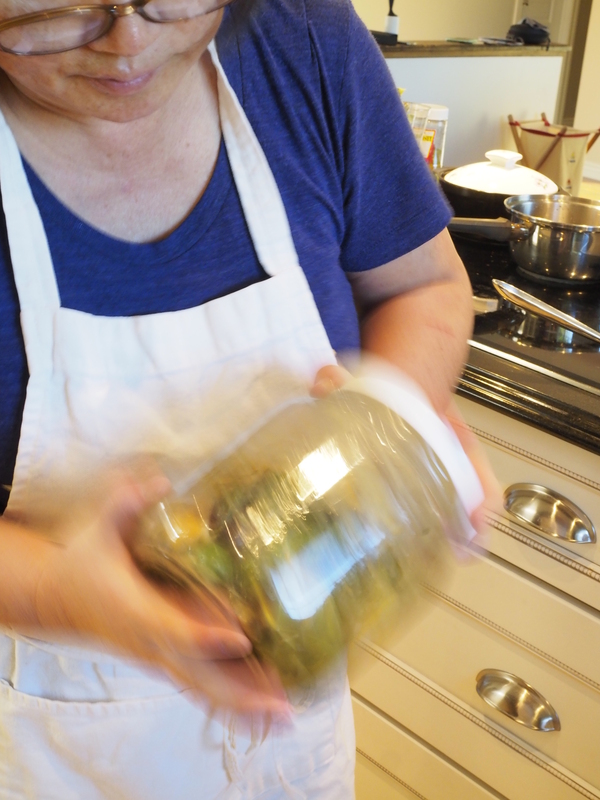 Here’s my mom’s recipe for Lemon and Herb Olives, the family’s new favorite snack. 1. 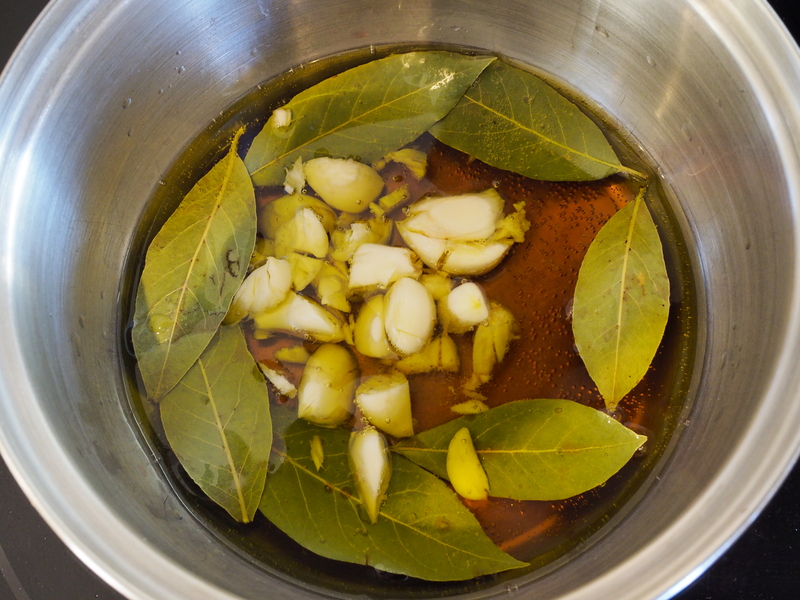 In a small saucepan, simmer the garlic, red wine vinegar, bay leaves, water, and peppercorns on low heat for 15 minutes. 2. 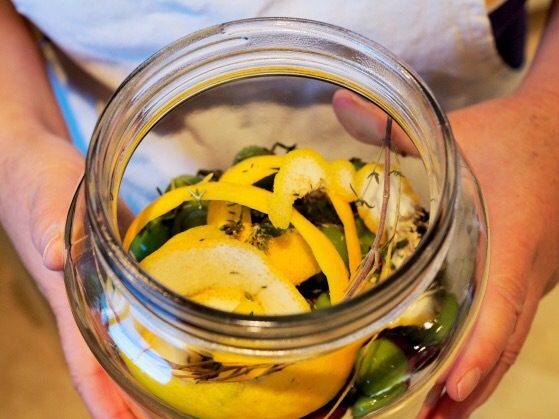 In a sterilized jar, mix your olives, lemon rinds, olive oil, thyme, rosemary and fennel seeds together. 3. Once the liquid mixture has simmered, pour the mixture into the jar and cover. 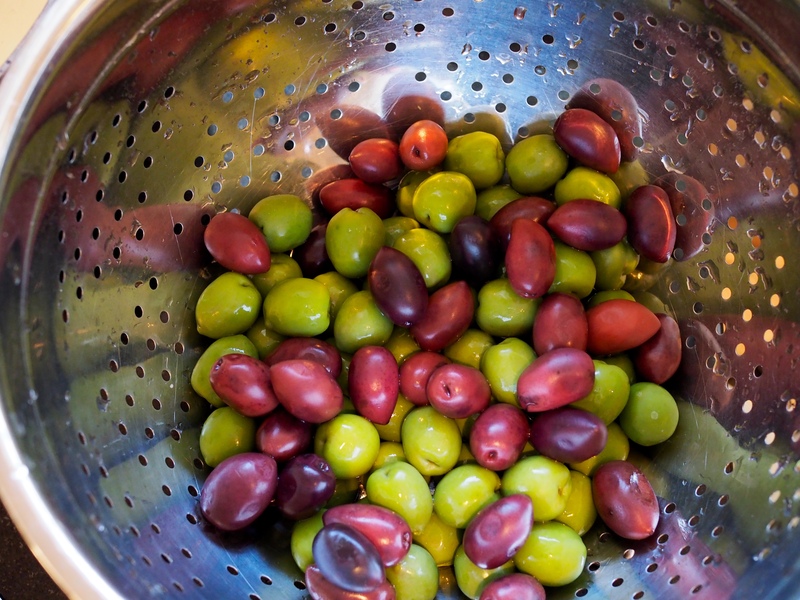 To season the olives, shake vigorously until the olives are coated. 4. Place the olives into the refrigerator for 3-4 hours and enjoy!